Three with MTSU ties help welc.. The MTSU-UAB men’s basketball game Wednesday, Jan. 30, in Murphy Center marked the first Blue Raider Veterans and Military Appreciation Night. 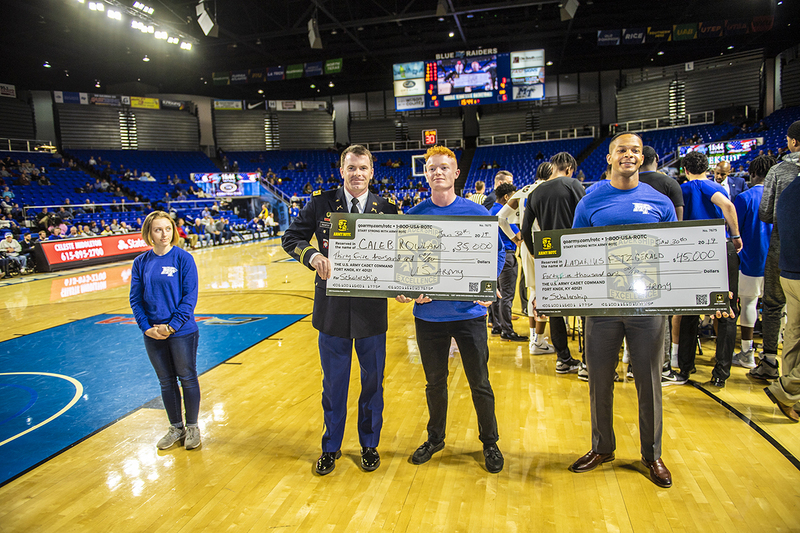 Veterans and active-duty personnel received free tickets to the Conference USA game between the Blue Raiders and rival University of Alabama-Birmingham Blazers, and a number of military-related activities took place. • Members of the 3rd Brigade Combat Team from the 101st Airborne Division at Fort Campbell, Kentucky, rappelling into Murphy Center to deliver the game ball. • The dedication of a POW seat in remembrance of MTSU-affiliated soldiers missing in action. 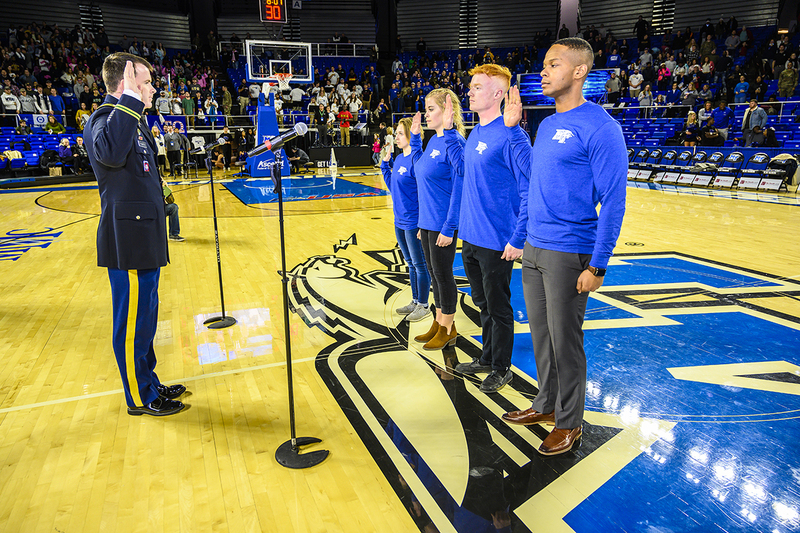 • Lt. Col. Carrick McCarthy, chair of MTSU’s Department of Military Science, administering the U.S. Army oath to four MTSU students — Ladarius Fitzgerald, Kylee Harrison, Jordan Plumb and Caleb Rowland — and swearing them in as ROTC cadets during halftime. • Presentation of scholarships to Fitzgerald and Rowland by the Department of Military Science and ROTC.